Two decades ago, the U.S. Army phased out its last light tank. Now the Pentagon has decided its infantry could use some lightweight armored firepower, and is looking to choose between at least three off-the-shelf designs by 2019. This initiative, called Mobile Protected Firepower, intends to outfit infantry brigades with their own 14-vehicle companies of armored fire support vehicles. That way, they no longer depend on separate heavy armored battalions to detach tanks to help them. The new light tanks would assist the infantry by blasting bunkers, fortified houses, machine gun nests and the occasional armored vehicle. This job is currently performed by wheeled M1128 Stryker Mobile Gun Systems packing 105-millimeter guns, but the 18.5-ton vehicles have suffered from various defects, including breakdowns caused by the recoil of their main guns, so the Army is looking to phase them out. A light infantry support tank would be easier to deploy rapidly across the globe in an emergency response force, or to backup armor-deficient airborne troops in an airport seizure or combat drop scenario. Once in theater, the smaller vehicles could cross lighter bridges, pass through narrower city streets, and wade through marshier terrain than huge, 70-ton M-1 Abrams main battle tanks. Airborne troops might also appreciate mobile tank-busting firepower to mitigate their vulnerability to heavy armored counterattacks of the sort dramatized in films like Saving Private Ryan. For example, when the 101st Airborne Division was scrambled to Saudi Arabia in 1990 to defend against a feared Iraqi tank assault, initially their only armored support came from a battalion of M-551 Sheridan light tanks that could fire anti-tank missiles through their huge 152-millimeter gun barrels. However, the Sheridan was retired a few years later in 1996. It had long been disliked for its finicky gun/missile system and limited survivability. Indeed, light tanks historically fared quite poorly against better armed and armored opponents, such as the M-24 Chaffee tanks facing North Korean T-34/85s in the initial clashes of the Korean War. On the other hand, light armor such as the M-5 Stuart, or Russian PT-76 amphibious tanks and BMD airborne fighting vehicles proved decisive when they showed up for battle in places thought to be inaccessible to armored vehicles. 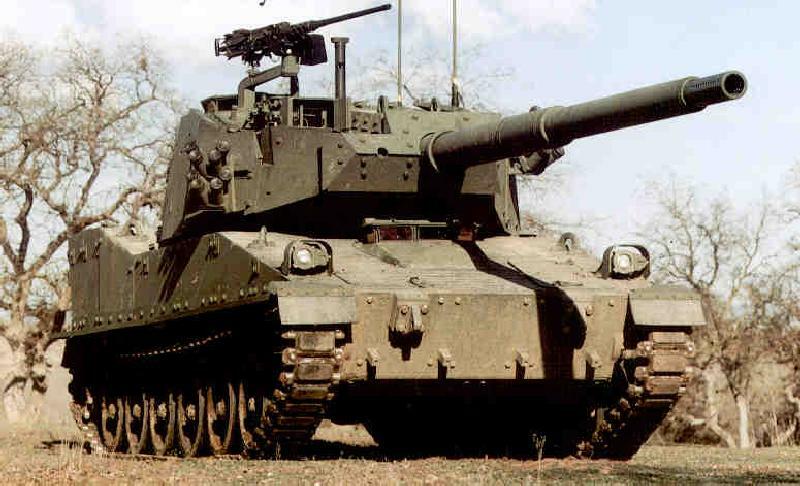 Even the much-maligned Sheridan tank was appreciated by the infantry it was backing up in Vietnam, Panama and Iraq. A study by the Dupuy Institute concludes that key considerations for light armor include enhanced protection from mines/IEDs — a chief historical killer of light tanks — and mobility through riverine terrain. There’s no guarantee that the Pentagon will allocate funding to actually procure MPF vehicles, and some commentators are skeptical that the competition will amount to anything. This is because two prior light armor programs, the ill-fated Future Combat System and Ground Combat Vehicle, both fell through after years of development. However, there’s reason to believe that MPF will be different — the project will proceed on an aggressive schedule with a decision on procurement made by 2019, so companies are proposing solutions based on off-the-shelf hardware instead of developing new vehicles from scratch. In fact, BAE system is offering a modestly updated version of the M8 Armor Gun System developed back in the 1990s to succeed the Sheridan. Named the “Buford” after the Union cavalry general, the M8 in its basic forms weighs only 19.25 tons, allowing it to be dropped by parachute and transported onboard smaller C-130 Hercules cargo planes — while up to five can cram onboard the Air Force’s massive C-5 Galaxy super heavy transport. For armament, the M8 has an XM35 105-millimeter gun with a rifled barrel. Its autoloader permits a rate of fire of 12 rounds per minute, drawing from an internal capacity of 21 internally and nine externally-stowed rounds. There is also a 12.7-millimeter pintle-mounted weapon and a co-axial M240 7.62-millimeter machine gun. The Buford’s lightweight hull, made of fire-prone aluminum, can be upgraded with modular armor. In three hours, an M8 crew can add an additional three tons of appliqué armor that will shield the vehicle from “armor piercing small arms and small cannons.” Then the Level III armor variant, girded with blocky bricks of explosive-reactive armor, maxes weight at 24.5 tons. This is deemed sufficient to protect against 30-millimeter autocannons and lighter man-portable anti-tank weapons such as an RPG-7. BAE is offering a few improvements on the original M8 — an upgrade to a second-generation Forward-Looking Infrared sensor, additional external cameras for situational awareness, a modernized power train, digital controls for the 500-horsepower engine, and networked controls. A Thunderbolt variant armed with a 120-millimeter smoothbore gun was tested at one point. General Dynamics’s offering, the Griffin tech demonstrator, is heavier than the M8 at 28 tons — there’s no talk of parachuting this beast — but it boasts a significantly more powerful XM360 120-millimeter gun, similar to but dramatically lighter than the M256 gun used on the Abrams tank. This could much more consistently bust modern tanks. The Griffin is a hybrid mating the hull of a British Ajax tracked scout vehicle with an aluminum turret configured similarly to the Abrams. General Dynamics emphasizes the vehicle is a “conversation starter” assembled in a five-month period, with further development possible if the Army is interested. Lastly, SAIC and the Singapore-based firm ST Kinetics are putting forth a tank-variant of its Next Generation Armored Fighting Vehicle. The basic version is a 29-ton tracked infantry fighting vehicle armed with a 30-millimeter cannon. It will enter service with the Singapore military in 2019. STK is proposing to upgrade the armament with a modular Cockerill turret packing a 105-millimeter gun. The NG-AFV features thermal cameras offering a 360-degree view around the vehicle, remotely-operated machine guns, and networking capabilities with friendly units. STK claims modular armor would allow protection to be ramped up against specific threats. Of the three proposed vehicles, the Griffin clearly has superior anti-tank firepower using kinetic armor-piercing rounds, and might be easier to transition to from the Abrams. Meanwhile, the Buford offers the most flexible air transport options and armor configurations, and benefits from earlier development and testing. The SAIC/STK vehicle’s advantages are less immediately obvious, but they may lie in lower costs and built-in networking capability. There also might be additional proposals in the wings from firms in South Korea or Germany. How vulnerable would a light tank be? Light tank programs have failed in the past because of reluctance to accept that a lightweight vehicle simply can’t survive the kind of hostile attention that a 70-ton main battle tank can. However, the current MPF guidelines stipulate protection from heavy machine gun fire as a minimum expectation. Realistically, a light tank will be impervious to small arms fire but vulnerable to tank main guns — resisting 125-millimeter sabot shells simply requires tons more armor. However, there are many weapons in between those two extremes, including rapid-fire auto-cannons commonly found on infantry fighting vehicles like the BMP-2, or the shaped-charged warheads of man-portable anti-tank weapons such as the ubiquitous rocket-propelled grenade. Small auto-cannons do not penetrate that much armor but require heavier ballistic protection; shaped charge munitions can theoretically penetrate a great deal more armor, but there are several technologies that can negate their effectiveness including explosive-reactive armor, slat-armor, and even Active Protection Systems (APS) which shoot down incoming projectiles. Indeed, an Active Protection System, like the Trophy APS set to be operationally tested on the M1, might be a relatively efficient solution to significantly increase the survivability of light tanks — at least from the threat posed by anti-tank rockets and missile, but not the kinetic shells of enemy tanks. Indeed, the MPF guidelines encourage the designers to include room to upgrade the vehicles with an APS system in the future, or even convert them into remotely-operated drones. In any case, the United States is not the only country interested in rapidly-deployable light armor: Russia has produced a handful of 2S25 Sprut tank destroyers for its airborne troops, while China developed its Xinqingtan light tank for deployment in the Tibetan Plateau.